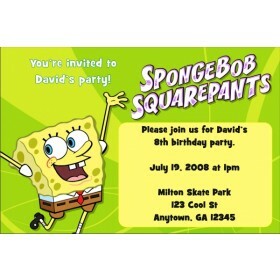 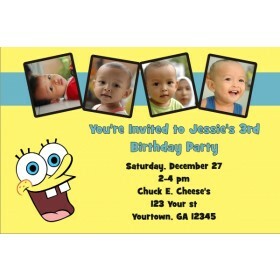 Spongebob Squarepants Invitations 2. 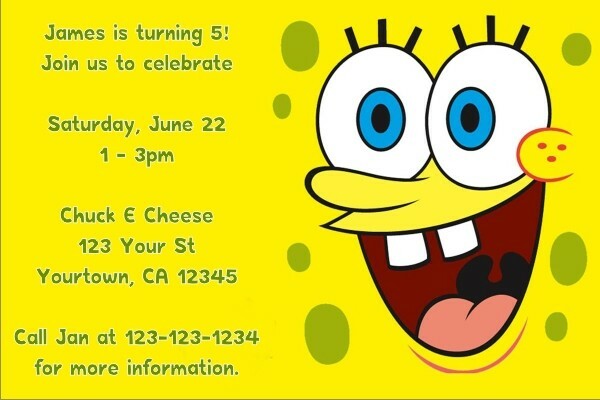 This design features Spongebob's happy face and a yellow background. 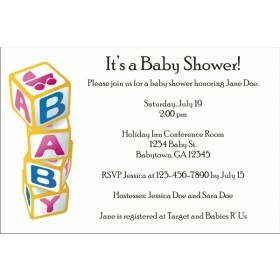 Green spots adorn the invitation. 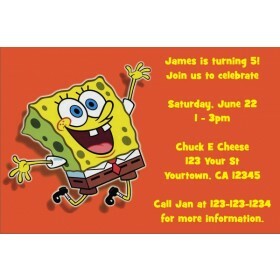 The green text color is a great addition to the color scheme.